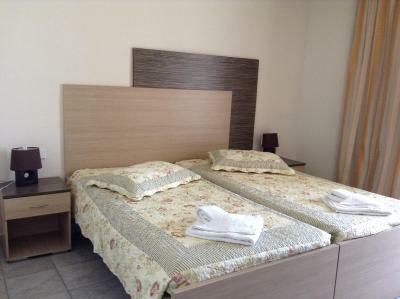 Lock in a great price for Delfini Beach Hotel – rated 8.3 by recent guests! 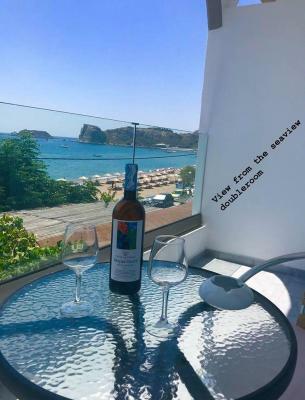 Everything was perfect here: staff (everyone was friendly), room (view was gorgeous, wifi worked perfectly), location (I've never experienced living 3 meters away from the beach), boat and car rents nearby. They have 2 of the cutest dogs I have ever seen. 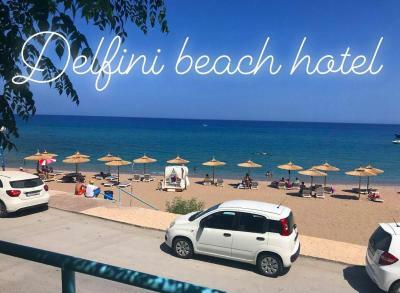 Delfini Beach Hotel is a very lovely family run hotel in Stegna bay, right in front of its beach, so definitely book a room with sea view and balcony, it is sooo worth it! 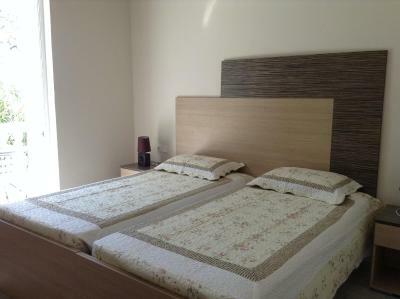 The room is big enough, clean and comfortable, the air conditioning is a bit noisy but efficient. The restaurant is on the ground floor, at breakfast it's a great sweet and savoury buffet and at dinner it is served with a fixed menu from starters to dessert. The quality is fantastic, all typical greek food. Also, having breakfast and dinner on the terrace with the sea just a few meters from us is just priceless. Right in front of the hotel (across the street) there is the beach with their own sunbeds and umbrellas (have to pay extra). If you have rented a car (which I highly recommend) Stegna is a great place to start and visit the island, as it is very central and you can reach anything within one or two hours drive. Very close to the beach, free sunbeds. Nice breakfest. Staff really kind and friendly; best location, just in front of the beach, with private umbrellas and sunbeds. Wonderful sea view from our bedroom; room provided with bath kit and great shower. Restaurant is also very good altough the first night we spent 28 euros for our dinner and the following evening, eating the same plates, we spent 40 euros (People staying at the hotel has a fixed Prince for dinner; apparently it's better to dine here if you're not staying al the hotel) We suggest to put an umbrella or sunblinds on the balcony to shade the room from the morning sunshine. 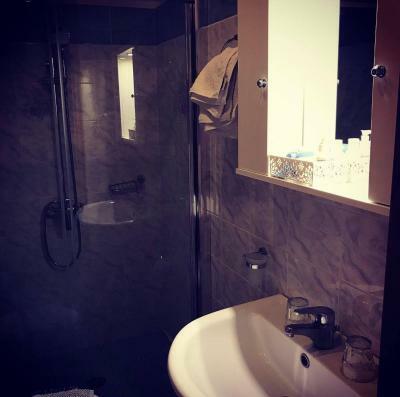 Who are searching not crowded and more familiar living in peaceful area, but still surrounded with a several taverns and bars, this is the right choice. Великолепное расположение! Пляж рядом, тихое, уютное, комфортное место. Das Hotel ist klein und familiär geführt. Maria und Lukas sind unglaublich herzliche und liebevolle Gastgeber! Das Essen im Restaurant ist genial, alles wird frisch und mit viel Liebe gekocht und zubereitet. Die Lage im kleinen Ort Stegna ist super, der schöne Strand ist nur eine kleine Straßenüberquerung entfernt, also direkt vor der Haustüre. Alles in allem hatten wir eine perfekte, schöne Woche, und konnten unseren Urlaub in vollen Zügen genießen! 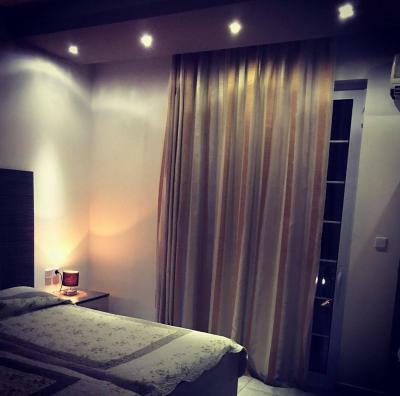 Delfini Beach Hotel This rating is a reflection of how the property compares to the industry standard when it comes to price, facilities and services available. It's based on a self-evaluation by the property. Use this rating to help choose your stay! 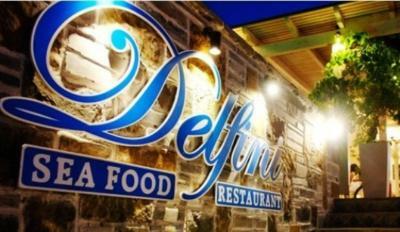 Located on the beach of Stegna Bay, Delfini Beach Hotel offers a seafood restaurant and a bar. 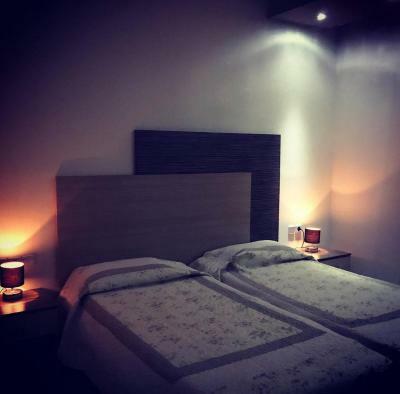 Rooms feature a furnished balcony, while free Wi-Fi is available in public areas. 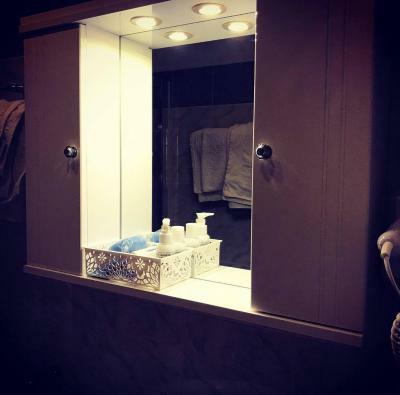 A satellite TV, mini fridge and air conditioning are included in all rooms at the Delfini. 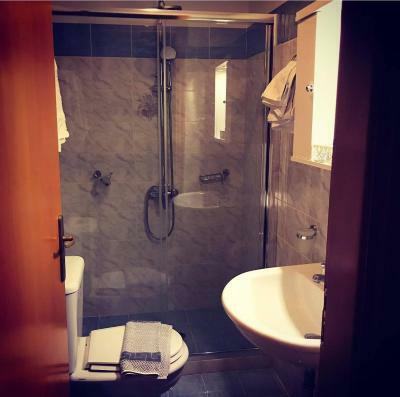 Each has a modern bathroom with shower and hairdryer. A rich buffet breakfast is offered daily in the dining area with sea views. Fresh fish, seafood and local specialties are served at the restaurant. Guests can have a drink from the bar on the terrace. The village of Archangelos is at 1.6 mi. Rhodes Town with the 14th-century Palace of the Grand Master of the Knights is within 17 mi. Staff can arrange car rental and free private parking is provided at the hotel. 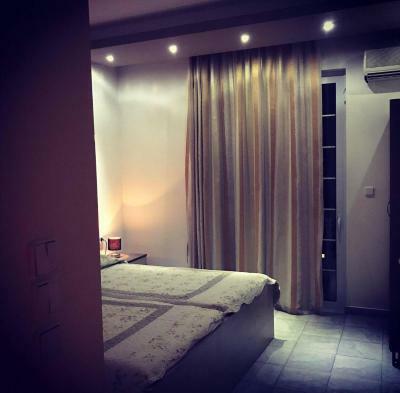 When would you like to stay at Delfini Beach Hotel? 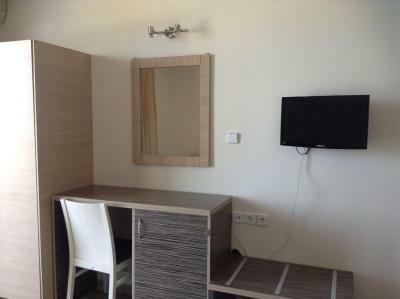 Has a balcony with surrounding area views, air conditioning, LCD satellite TV and mini fridge. 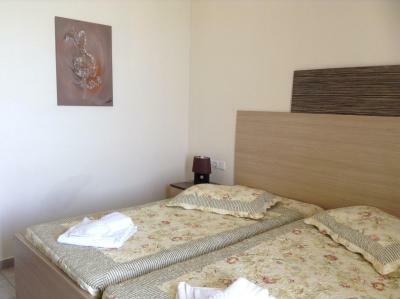 Has a balcony with Aegean Sea views, air conditioning, LCD satellite TV and mini fridge. 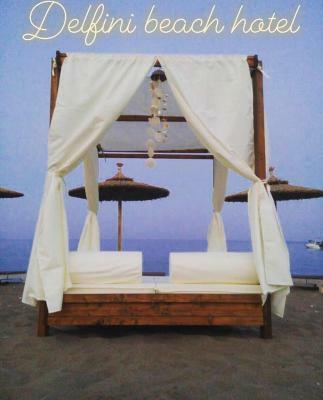 House Rules Delfini Beach Hotel takes special requests – add in the next step! Delfini Beach Hotel accepts these cards and reserves the right to temporarily hold an amount prior to arrival. 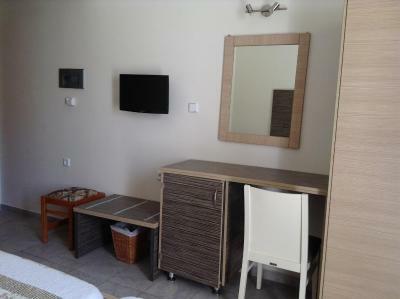 It costs 5 euros per person per day to rent a sun bed at the property. I told about that the owner . Breakfast ok, dinner as a menu were quite tasty, but unfortunately did not contain fish and seafood. These foods were praised in the evaluations. Very loud music coming out from the restaurant downstairs - almost till midnight - despite the fact that there was no guest in the restaurant. We also didn't get the free drink after arrival as booking .genius member. We felt very good here. Thanks for everything.